When you are selling your house in Indianapolis through a conventional realtor, you are subject to a sales commission, which, in the Midwest, typically amounts to seven percent of the selling price of your home. If you sell your home for $100,000, therefore, $7,000 of the price goes to pay this commission. Simple arithmetic shows that the more expensive your home, the higher the commission will be—thousands of dollars that are directly subtracted from the selling price of your home before it even reaches your pocket. Most brokers work hard preparing your home for sale, helping to make it market-ready by clearing clutter and personal items, staging the home to increase its appeal, and preparing listing and advertising material. Once an offer is accepted, there are hundreds of small details to attend to before the deal can close. Brokers can work with clients for months before ever seeing a single penny in revenue. 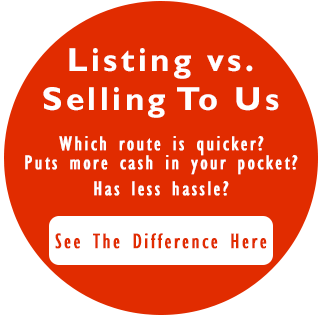 There is one other thing to consider when selling your home in Indianapolis using a realtor. Remember, they work on commission. If you are selling a home valued less than $100,000 and its a fixer-upper, how motivated do you think that broker is going to me to market that listing? Fixer-uppers are harder to sell and commission for lower valued real estate offers little commission. When compared to a listing that is move-in ready and valued at $300,000, you might find that your listing has little priority. 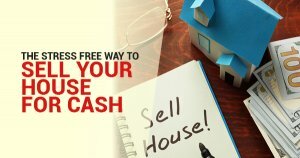 Many people aren’t aware of the option for a zero-commission sale by selling to a real estate investor, but it may provide exactly the stress-free experience you are looking for. Real estate investors, like Ittenbach Capital, that pay cash for homes can often deliver your payment within a matter of days or weeks, cutting a quick deal with no strings attached and no commissions. While the seller may have to forgo a top-dollar price for this type of deal, central Indiana homeowners seeking a fast sale and quick cash are generally happy to do for the speed and convenience. Give us a call today at 317-731-2540 and let us help you sell your house fast without all the stress. Feel free to visit us online at www.ittenbachcapital.com or check us out at the Better Business Bureau. Ittenbach Capital is an accredited company with an A+ rating. You won’t find a better, more dedicated and trustworthy partner for your real estate journey than Ittenbach Capital, LLC.